Allowing your money goals to slip can have a significant negative impact on your current and future financial wellbeing, cautions Priya Naicker, advice manager at Old Mutual Personal Finance. Furthermore, rising prices can make it harder to stay on track, let alone not having anticipated the impact of the increase in VAT or increases in the fuel price. Naicker says making financial planning a part of your lifestyle can help overcome the challenges associated with fluctuating prices and uncertainty. In much the same way that an academic report card can identify strengths as well as areas in need of improvement, having a financial plan that you regularly review can help do the same for your money matters. "This essential financial health check can also serve as the motivator you need to adjust your spending behaviour and priorities along the way," says Naicker. "If you have not made the progress you expected to, don’t be discouraged. "Instead, use the opportunity to get back to basics. Revisit your goals or create new ones and allow yourself to be inspired into action towards achieving them. "Set yourself up for success by not only planning for short-term goals, but also medium- and long-term aspirations." Refer back to the financial goals you jotted down at the start of the year and decide if these are still relevant and practical. "Life is a journey and as we move through it, our needs and ability to fund these changes. If you’ve changed jobs or married, for example, it’s important to talk to your financial adviser about adjusting your financial plan accordingly," says Naicker. Naicker advises mindfulness. Knowing what you want to achieve and why are key to keeping yourself on track towards achieving your goals. "By pausing and reflecting, you give yourself time to detach from the part of your brain that acts on impulse. Instead it becomes a time to objectively identify achievements or learnings and what these mean for your plan," says Naicker. "It’s comforting to know that you are not alone. According to the 2018 Old Mutual Savings & Investment Monitor (OMSIM), 81% of us have cut back on entertainment and eating out over the past year. We are all reviewing our finances to adjust our spending habits," says Naicker. Take action towards setting your goals in motion. Create a financial plan and begin putting solutions in place that help you achieve your dreams. Whether it’s protecting your income, investing for future holidays, properties or retirement, or even taking a sabbatical, get started as soon as possible to give yourself the best chance of success. Building consistency is the key. "If you’re unsure about where to start, or what the most appropriate financial vehicles are, get advice from an accredited financial adviser. "With the right plan of action and practical, achievable steps, you can get closer to achieving your goals," says Naicker. Having the right tools in place can help you identify and maximise opportunities such as year-end top-up contributions to retirement annuities and tax-free savings accounts - before the tax year ends at the end of February - and your free annual credit record report. 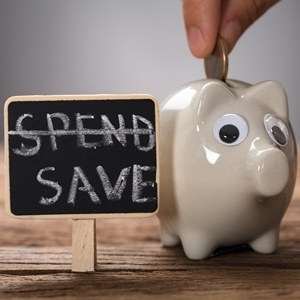 Naicker says it’s never too late to incorporate an emergency savings plan into the rest of the year’s financial to-do list. She explains that a good financial adviser can help you build a holistic plan that should not only include a savings and investment strategy, but also ensures that your ability to earn an income is protected. They will also assist you with finding practical ways to maximise your savings while balancing your current spend.